World politicians meeting in the Ugandan capital, Kampala, have agreed on the need to repeal laws discriminating against HIV/Aids which they say have contributed to an increase in the rate of new infections. MP’s at the Inter Parliamentary Union assembly said laws that criminalize transmission of HIV, laws against sexual workers and those discriminating against sexual minorities need to be repealed. Speaking during a panel discussion, Professor Sheila Tlou, UNAIDS Regional Director for Eastern and Southern Africa, said “there is a fear that a still highly stigmatized condition such as Aids can, and will, fall out of the agenda of national and global leaders”. Tlou said early signs of a decreasing commitment to Aids in the form of reduced funding for HIV prevention, treatment, care and support were worrying especially since the epidemic is far from being over. She said where the law deepens social fractures and inequality, denies access to services and criminalizes those who need these services it becomes an obstacle to the Aids response. In Uganda, the HIV and Aids Prevention and Control Bill 2010 was aimed at criminalising attempted transmission of HIV. 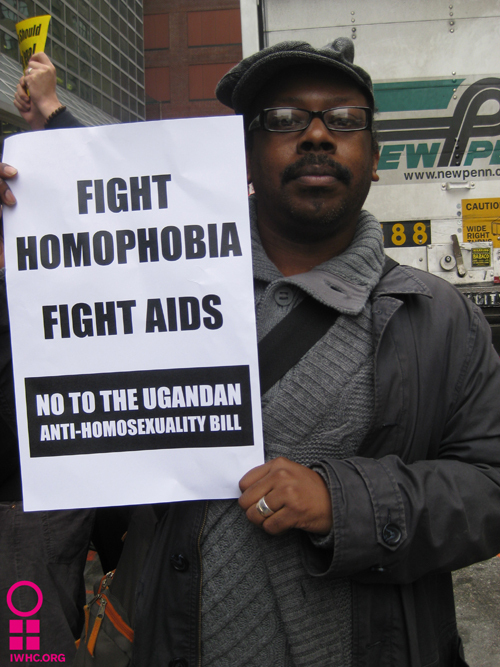 The anti-homosexuality bill which remains on the shelves of parliament was identified as discriminatory and hampering the fight against HIV/Aids. MP’s called for zero discrimination against people living with Aids if the new campaign for zero new HIV infections and zero Aids related deaths is to be successful. Tlou said UNAIDS was working with countries to introduce a programme to eliminate mother-to-child transmission to ensure that no child is born with the disease. In 2009, the World Health Organization estimated there are 33.4 million people worldwide living with HIV/Aids, with 2.7 million new HIV infections per year and two million annual deaths due to Aids. Ugandan MP Doctor Elioda Tumwesigy said 7,000 people are infected every day worldwide – half the number are women and girls in sub-Saharan Africa.